With a stock 2.0l turbocharged engine, LED headlights and taillights and a new-for-2018 third row of seats, the 2018 Volkswagen Tiguan is the most-versatile SUV on the road today. Compared to the 2018 Hyundai Tucson, the VW Tiguan is larger inside and can seat more passengers with rear seats up (or store more cargo with rear seats down) than the 2018 Hyundai Tucson. While Hyundai has earned a reputation for making inexpensive, durable cars and SUVs, the new Volkswagen Tiguan has easy-folding second- and third-row seats, a hands-free rear liftgate and expandable roof rails for even more storage opportunities. Visit our showroom location 20 minutes West of Bellevue to see for yourself what makes the 2018 Volkswagen Tiguan the ultimate mid size SUV. To make room for a new optional third row of seats, Volkswagen added 10 inches of length to the wheelbase over the previous Tiguan. The result has made the new 2018 VW Tiguan the most spacious and versatile SUV in its class with more than 20 extra cubic feet of passenger volume in the base Tiguan than in the 2018 Hyundai Tucson. Even at the start of the lineup, the new Volkswagen Tiguan comes standard with a larger touchscreen infotainment system, and the available 12.3-inch display is well beyond anything you’ll find in a new Hyundai Tucson. The 2018 Volkswagen Tiguan has just one engine option, one that is bigger than both engines available on the 2018 Hyundai Tucson. You get 20 additional horsepower over the base 2018 Tucson in any 2018 Tiguan. Not even the turbocharged Tucson generates as much horsepower or torque as each and every 2018 Tiguan does. 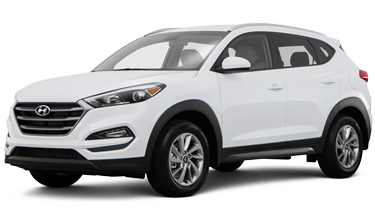 What’s more, this extra power comes with fuel economy that’s similar to the new Hyundai Tucson. If you choose to go with the renowned German-engineered 4MOTION® all-wheel drive system in the new VW Tiguan, you’ll be able to select between 4 driving modes, including a personalized custom mode. That’s a level of performance you just won’t find in any new Hyundai Tucson. For earning top marks in all their crashworthiness tests, the Insurance Institute for Highway Safety has selected the 2018 Volkswagen Tiguan as a 2018 IIHS Top Safety Pick. Available Driver Assistance features help you avoid a crash entirely, and include Pedestrian Monitoring which automatically alerts you to unseen pedestrians, and can even brake for you. VW makes these features available as an option on every trim; you can only get them as an optional upgrade on the top-of-the-line 2018 Hyundai Tucson. Plus, get peace of mind with the industry’s most competitive bumper-to-bumper warranty: 6 years/72,000 miles — way more than you get from Hyundai. It’s even transferable, so when you go to sell your Tiguan or pass it down to a loved one, you can pass on Volkswagen’s outstanding customer support right along with it. Since 1955, Volkswagen has embodied the tradition of quality German auto engineering. Since then, few car companies have managed to capture America’s imagination quite like Volkswagen. Since the signature Beetle and Minibus, Volkswagen has enjoyed a reputation for building iconic, long-lasting vehicles that stand the test of time thanks to bold styling and advanced engineering quality. Stop by our Seattle showroom and discover what makes a brand-new 2018 Volkswagen just as special.